It is of common knowledge that Obsessive-Compulsive Disorder is one of the most disabling psychiatric disorders, generally very resistant to change. The price people pay if they are affected by OCD, or even if they are family members of an OC patient, are enormous. Therefore, scholars, researchers and clinicians need to join their efforts in order to deepen their understanding of Obsessive Compulsive Disorder, and to find more effective ways of helping patients who are affected by this highly disabling disorder. 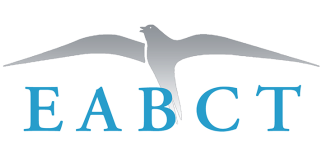 The goals of the scientific interest groups within EABCT are to foster collaboration and discussions on scientific issues, to start up researches, to deepen theoretical issues, to exchange information on the work developed in the different countries, to organize meetings, seminars and workshops. Thus, the EABCT s.i.g. on OCD gathers yearly in the course of the Assisi’s famous meetings, designed in order to allow a panel of experts on Obsessive-Compulsive Disorder a less formal and more interactive chance of meeting than international traditional congresses generally are. Welcome to all the experts on OCD who wish to join our group!